Incorporating vintage furniture and accessories into every day life can, at times, seem challenging. 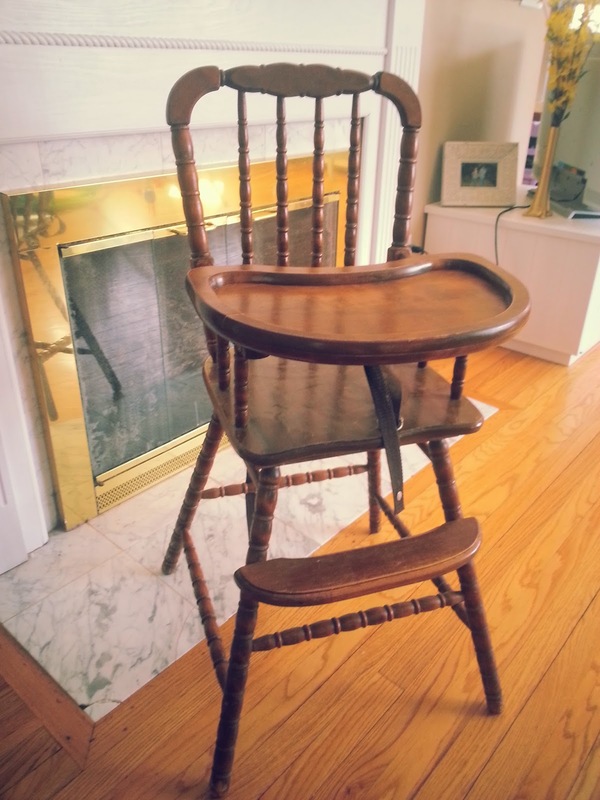 Take a recent client of mine who found a very cool, vintage high chair online and was inspired to not only have it repainted to match her dining room, but also plans to use it for her upcoming baby on the way. This is my client's fourth babe, and she has never used vintage furniture for a little one. A few of the challenges we discussed included adding some comfy cushions and finding a paint that was not only durable, but 100% safe and natural for baby. Once she decided on her fabric and cushion size, I was tasked with finding the perfect shade to match. After some research and a consult with my local paint supplier, we decided to use milk paint. Milk paint is a non-toxic, water based mixture of milk powder, lime and pigment. It is sold in powder form and you simply mix it with water prior to use. 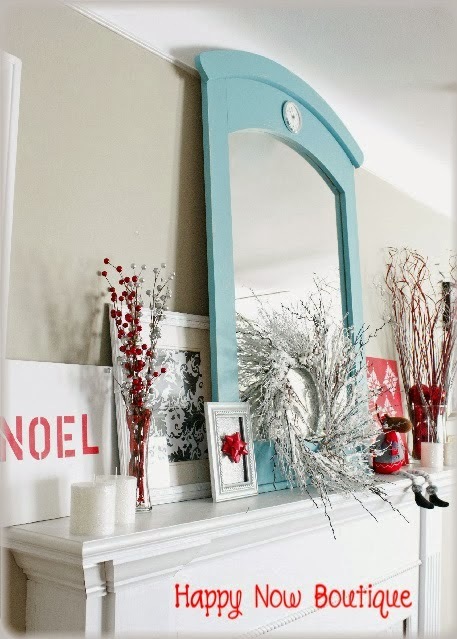 The finish is matte and very similar to chalk paint. It can be distressed using different techniques, however the paint will naturally distress on it's own, depending on the surface it is used on. Milk paint can be sealed with wax, glaze or as I used with this project, hemp oil. Hemp oil is also a 100% natural and non-toxic furniture sealant and again, perfect for furniture that will be used with a little one. After two coats of the milk paint, we simply used a soft rag to rub the hemp oil onto the chair surface. The end result was a unique vintage piece, perfectly natural and safe for baby. 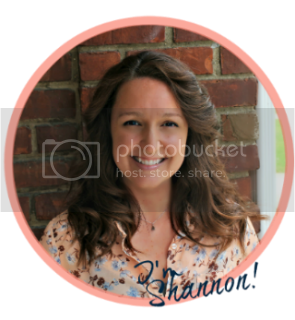 For more information on Happy Now's client services, or to schedule a consultation, please contact us at shannonmarieg@gmail.com. A local boutique owner, who I sometimes do business with, referred me to a client in need of assistance on a repainting project. 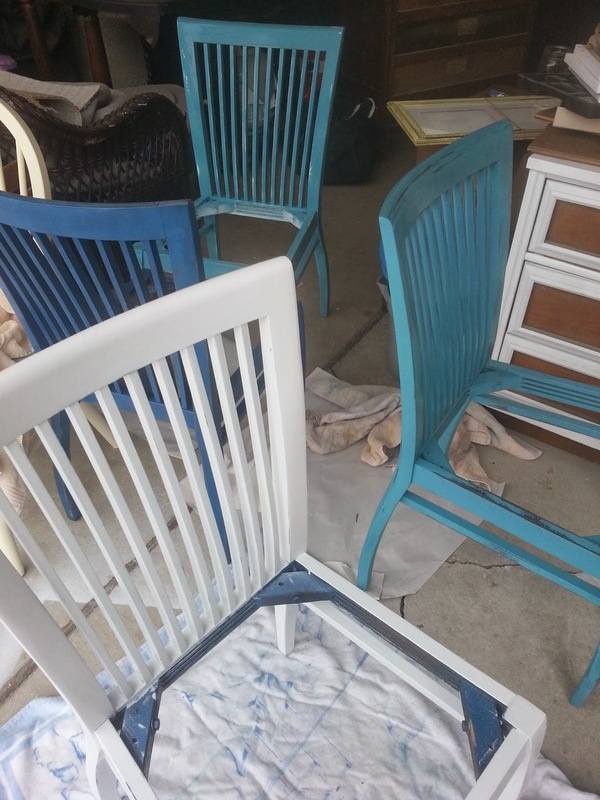 The client had found 4 awesome chairs a few years back on Craigslist for a steal and was finally ready to repaint them in a crisp white, as a way to freshen up her dining room. 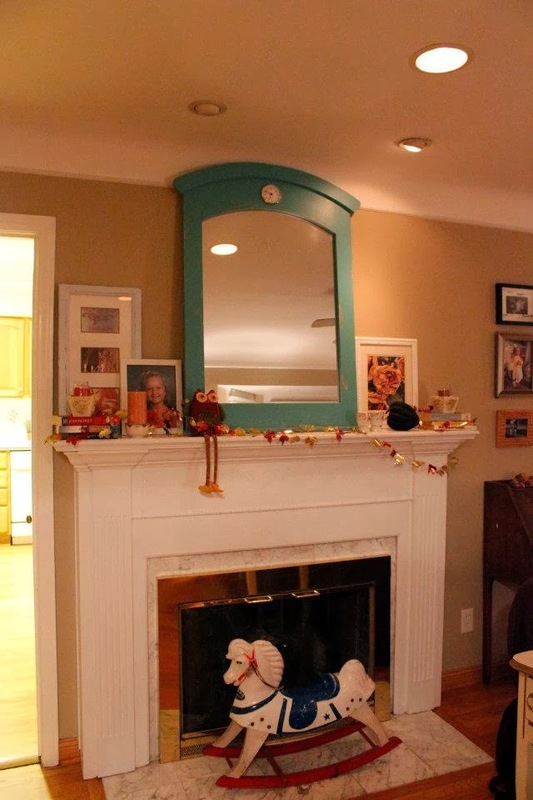 The chairs had already been repainted when she bought them; the colors were two shades of bright blue. 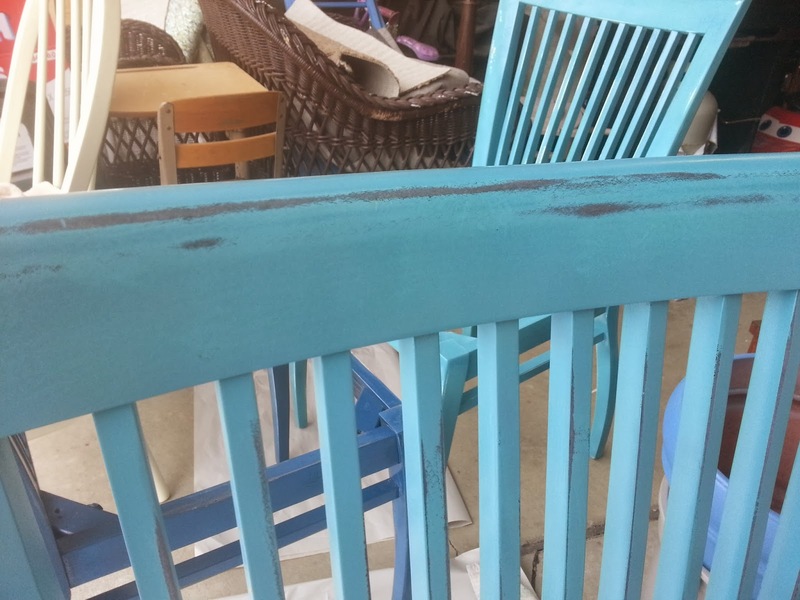 She had started on one of the chairs, using a brush and latex paint, but was not satisfied with the resulting brush marks, especially on the chair backs. When she approached me in regard to taking the project on, we discussed spray paint instead of latex as a way to get a smooth and even finish. Each chair was sanded using a 120 grit and primed with a matte, white spray paint. 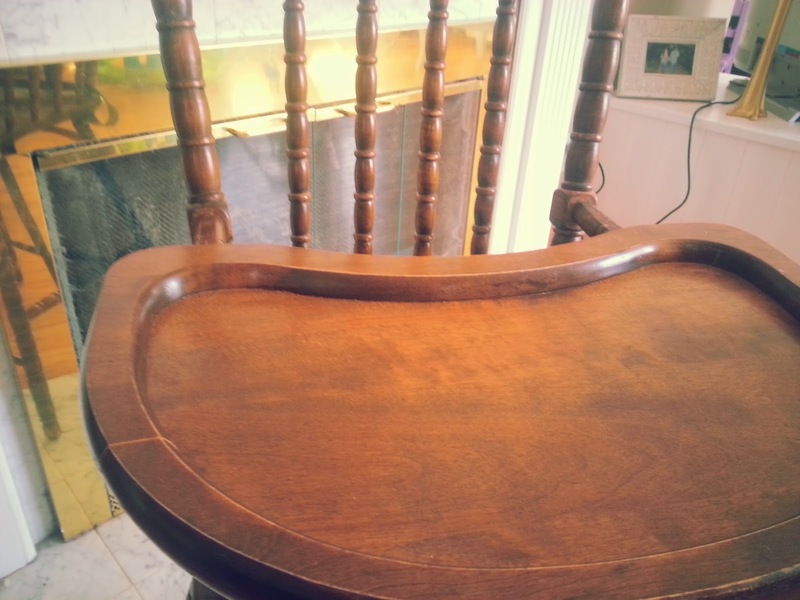 Though the chairs were already smooth and even, it was definitely important to prime the surface not only because the paint will stick better, but also because the dining room chairs receive a fair amount of traffic, and it will help to prevent scratches and bumps in the future. 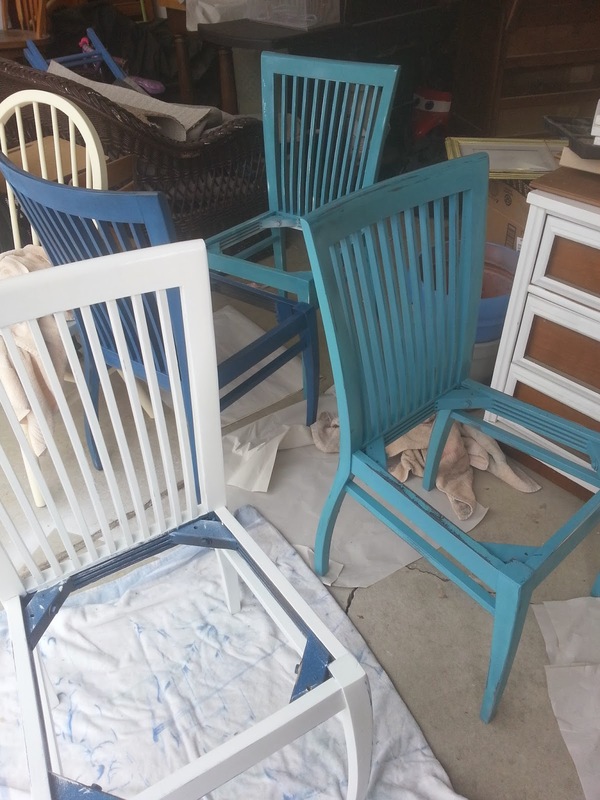 A good coat of primer will also help cover up the beginning chair color, especially when going from a dark color to white. After the primer had dried completely, I went over each chair with a super fine, 400 grit sandpaper, by hand, to ensure smoothness before the paint was applied. It took three full coats of paint, plus touch ups to fully cover up the blue here. Once the paint had dried completely, each chair was given one coat of a clear gloss sealant, to further protect the finish from wear and tear. The end result was a smooth, shiny finish that made these Craiglist finds, Happily, brand spanking new. 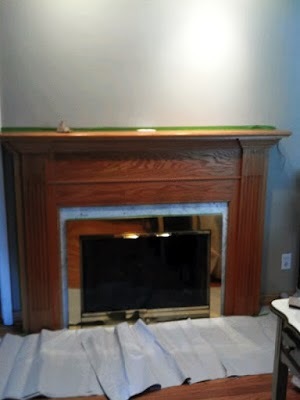 Today's post centers on a true DIY project that I thought up one lazy Sunday afternoon. I have been on the lookout for some large format, framed prints for my living room. I wanted something colorful and cheery to hang on the walls behind my couch. There are great online sites for ordering decorative art and posters such as art.com and zazzle. Zazzle in particular, has a ton of unique and colorful items at fantastic prices. 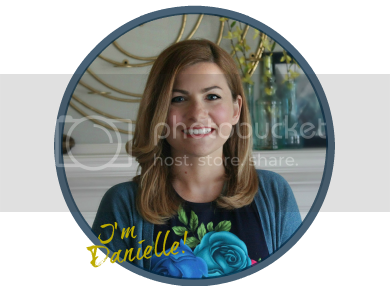 Which is great if you want to browse through the hundreds of images for hours at a time, but I am a mom on a schedule and I had a particular look in mind and not a lot of time to get it done. It was on a particular trip to Joann's, as I was browsing through the fabric section, when the idea came to me. I was holding a piece of fabric that I've been eying for some time, super excited that it was on sale for a GREAT price, trying to think of the next new project I could use it for when BAM! It hit me! I love the print. I love the colors. It would look lovely hanging above my couch... I should frame it!!! 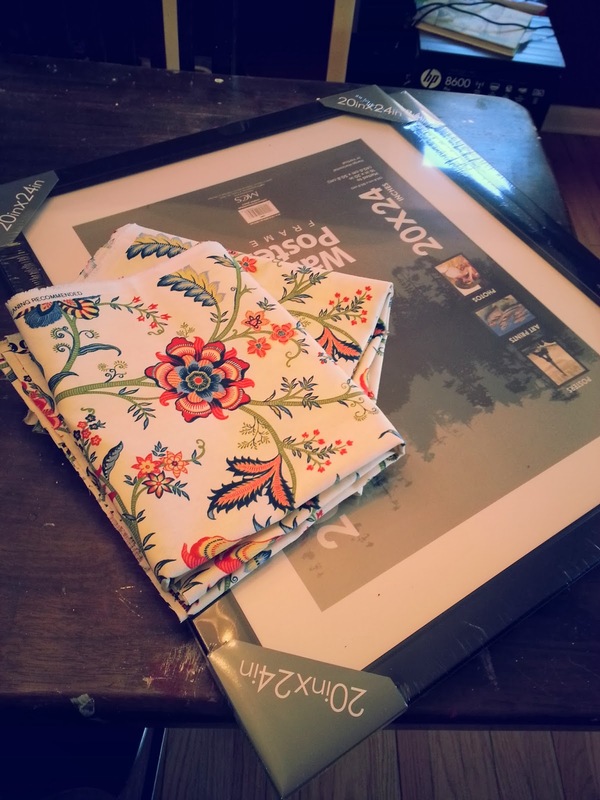 I purchased two yards and headed to Target to grab some large format frames. They had 20 x 24's on sale for $20.00. Not the cheapest, but considering how little I paid for what was going inside them, I was OK with it. 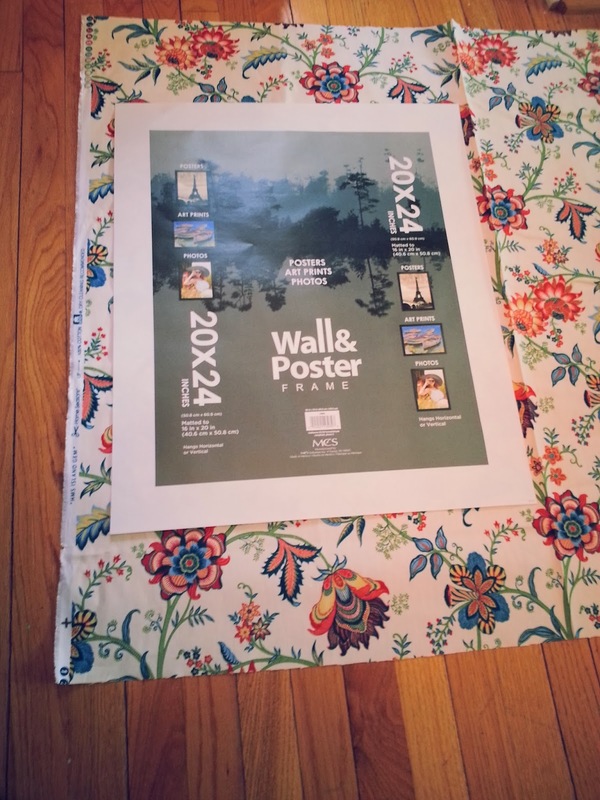 Once I was home, I just cut the fabric to size, using the paper insert that comes with the frame as a guide. Once I had my pieces cut, I ironed them on a high setting to get rid of creases and wrinkles. No need to wash the fabric here; since they're going right into the frames. And right into the frames they went! I laid the cut piece of fabric right onto the glass, making sure that the everything was flat and straight before putting the frame back together. No exaggeration, took me 15 minutes top for the entire project. Price breaks down to roughly $25 per finished frame. They hung nicely on each side of my couch and once they were up, it was kismet. This was the exact look I wanted for the living room. Here are some pics, and if the white and gold end table looks familiar, you've seen it right HERE on the blog as part of my living room re-do project. Read more on that HERE and HERE and stay tuned for more awesome projects as I get closer to the living room of my (uniquely thrifty) dreams! I hated it. The wood looked very worn and very outdated. And because the fireplace is one of the first things you see when you walk into our front door, I had to change it immediately. Not even kidding, it was the first object to be painted after we moved in. And recently, I completely changed the look by adding small pops of color and without purchasing anything new. Very simple updates. All frames were just repainted in bright colors. The gold vase was painted using metallic spray paint and the mason jar was completed using an acrylic paint and just pouring it into the jar and twirling the jar around until the interior was completely coated. 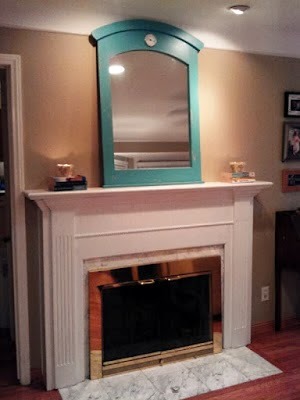 I replaced the old mantle mirror with a garage sale find purchased last summer for $10.00. I had immediately painted it a soft coral and then didn't know what to do with it. Enter this project. Problem solved. Another Happy transformation. Lots of color and a ton of character. 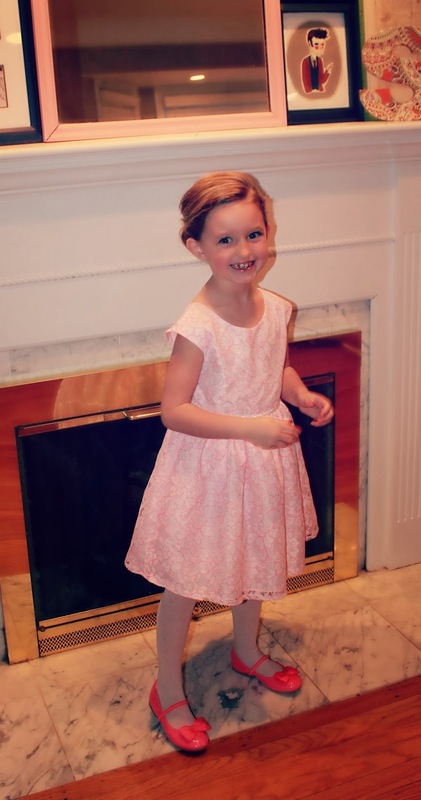 A reflection of life, love and family, if I do say so myself!